But, seriously, listen up kids. Tired of hearing me rave about Oiselle rogas or Picky Bars or the wonder of banana nuun and want to find out what they hype is all about yourself? LOOK NO FURTHER. 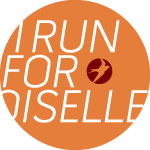 All 3 are sponsoring a group run on June 1st! 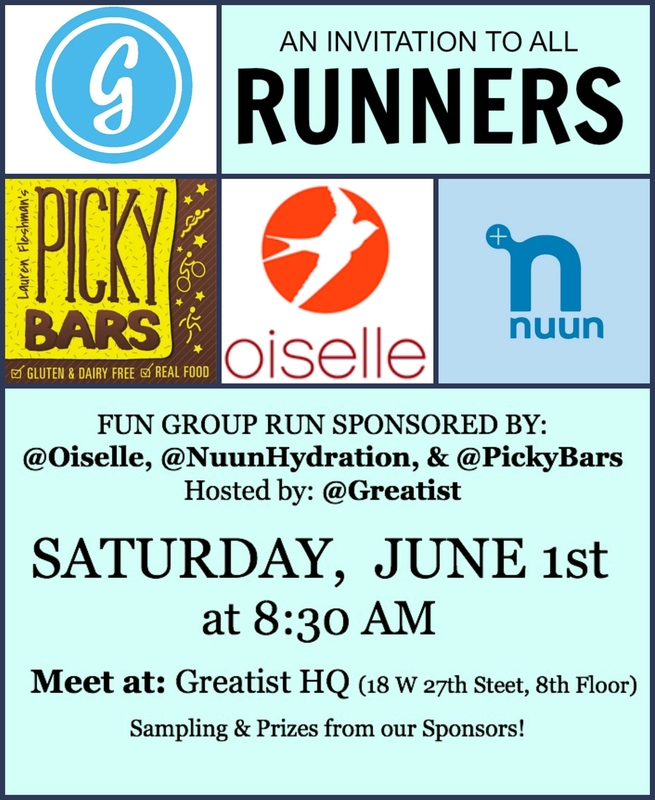 SPONSORS: @oiselle, @pickybars, @nuunhydration <– samples and prizes from these guys! I know. It’s almost too much to handle. BRING YOUR FRIENDS! MEET NEW ONES! I mean, I’ve met some of my besties through the interwebz. Its totally cool these days. TELL ME: ARE YOU COMING?!? This sounds so fun! If my mom wasn’t in Boston that weekend I’d definitely try to make the trip up. If I could teleport myself to NYC I’d be there! Sounds like fun! ALL THE COOL STUFF HAPPENS IN NYC! this sounds seriously awesome — wish i could make it! Ah! I wish! Oy vey, that’s a cool event. Well dang! I’m actually headed to NYC for all of next week, but will be outside the city for the weekend for a wedding. So close, wish I could’ve made it!